No doubt about it, translation and localization services are a labor of love. But let’s face it, we all need to get paid… and paid well. Learn how one translator has mastered the art of getting paid quickly—while avoiding wasteful transaction costs. 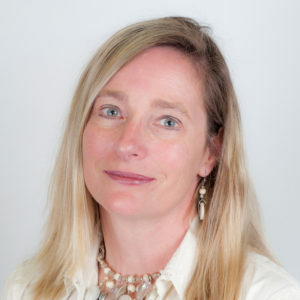 Eve Lindemuth Bodeux is a Localization Consultant for Rebel Translations. She provides localization, translation, transcreation and project management services for product adaptations around the world. The full podcast can be downloaded and listened to on all major podcast platforms, or from the Globally Speaking website. If you prefer to read the full transcript, we have provided that below, as well! Globally Speaking Radio isn’t just about how we as language professionals can improve our skills. It’s also about building awareness of how important translation and localization services are in helping global brands succeed in foreign markets—no matter where their business takes them. Globally Speaking is an independent podcast produced by Burns360 that does not necessarily represent the views of Nimdzi Insights or any other sponsors. 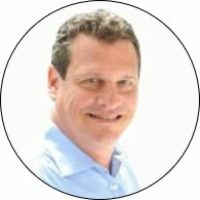 Renato is the co-founder and CEO of Nimdzi Insights, one of the language industry’s leading analyst and consulting firms. He has over 28 years of executive-level experience in the localization industry. He has served on executive teams for some of the industry’s most prominent companies, and he co-founded the industry’s first research analyst firm. 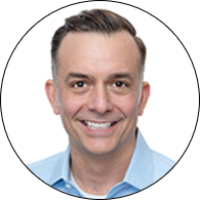 A dynamic speaker and communicator, Renato is a highly regarded thought leader in the language industry, and is known for creating innovative strategies that drive growth on a global scale. He has also served on the advisory board for Translators Without Borders. Michael has 10 years of experience in the localization and IT industries. He is the Growth Director for Moravia, where his primary role is to assist companies who are inspired to create global software that changes the world. A well-networked entrepreneur, Michael’s main interest is in connecting and bringing people together. He not only enjoys learning about a company’s exciting ideas and developments, he also has a keen ability to add value—and fire—to new and innovative thinking. M I’m Michael Stevens. And today on Globally Speaking, Renato and I have a discussion continuing our look at money and how money impacts the localization industry. M Today we’re asking the question “How do you get paid?” And you’ll find in this interview that we talk to an expert who is able to get a blueprint for people, especially small business owners who are trying to find the most efficient way to get translators and the people who work for them paid. M I’m sure you’ll find it informative. So we’ll let our guest introduce herself. E Hi everybody, I’m Eve Lindemuth Bodeux, and to tell you a little bit about my background, I’m a French to English translator, and I work for direct and agency clients. And I’ve also been an independent project manager for over 20 years in the industry, and I work for direct clients around the world. I also frequently write and present on issues that are related to translation and the business of translation. And I also am a co-host of the Speaking of Translation podcast, and last year I was really excited that my first book came out and it’s called Maintaining Your Second Language. It’s targeted to translators, interpreters and other language professionals, and you can find it on Amazon and also on Audiobooks. R I strongly recommend both the podcast and the book. R If you don’t have that, I think it’s the second-best book in the whole industry. R We’re not going to talk about the first. We don’t think so. M This is great and a lot of your work is for translators, about translators and a big part, as much as we love language, as much as we enjoy the communities we work in. We’re here to get paid. M Yeah, and you’ve done some research and have some thoughts on this and I have tons of questions. M So. Start talking to me about your research. E I will, okay. So from what I have seen, kind of being active like you’re saying and actually getting paid and paying people, and also my research, is that the most common methods used are things like PayPal, Skrill, bank wire-transfers, sometimes credit cards, not that common really, but it could be done via PayPal or other vendors like that. And even within the US and Canada, checks. So that is much less common in other countries, but those are some of the most common methods, and I am here to talk to you today about why we don’t really want to use those methods if we can afford it, and some alternative options. To use other methods to pay internationally to get money from our clients and to pay our vendors. M The first one that causes a red flag that I hear is a check. It’s the biggest pain for a translator to receive. Even if you’re in the US, you still have to like go to your bank or take a picture of it, right? M So, that’s no fun. But if you’re sending it overseas, and it’s US and you’re in Europe and now you’re running into currency, like having to exchange with this check right. So, let’s do away with that, some of these other digital means, such as bank wires and PayPal get around that don’t they? E Yes, they do. But I did have a perfect question, because I’ve got a lot of points for you, even with that, the issues with PayPal are for example, especially when you’re dealing with trading currencies, buying different currencies to get paid in a different currency or to pay someone a different currency is that they take a fee, PayPal takes a fee per transaction. So that’s one cost to you and/or who’s paying it, and it can vary greatly depending on what country is initiating the transaction, what country is receiving the transaction and also how the transaction has been funded on PayPal. If it’s being funded directly from someone’s PayPal account, directly from their bank account or if they’re funding it with their credit card. So one thing about PayPal is you really don’t know what fees you’re going to incur upfront for lots of different reasons. R And this becomes very important because more and more, we’re moving into a world where the size of content, the size of the projects, gets smaller and smaller. So, if you’re going to do an international wire transfer from the United States, it will cost you $35.00 and so you’re making a payment for $23.00 and it costs you $35.00 to make that it doesn’t make any sense. R There are things like that that need to be taken into consideration. E And I think too, from exactly what you’re saying as a vendor myself and as someone who subcontracts out often in many different languages, I have either decided I can’t use that vendor because they’re not going to want to take the job or myself I thought, oh that sounds a little interesting, I’d like to get in with this client, but I’m not going to take a $35.00 hit and get zero money paid to me. So it’s exactly what you said, yeah. M And in general when a fee is brought into the equation on this, it’s always pushed down to the translator. R Companies are like no we’re going to pay that fee and your, whatever you charge on top of it, we’re deducting that from whatever we’re paying for your work. E Right, and I do think that’s endemic in our industry; the people want to push it down, and I do have some ways of encouraging people who are making the payments to not do that at basically no cost or no skin off their back where they can stop doing that the translator, so that we’re going to talk about some of that. But just to kind of finish on your “PayPal can be a useful but bad thing”, is also when you have an exchange rate involved; so we have the fee, that’s one thing, but then we also have the exchange rate that’s offered. How much value are you going to get for the currency that you’re buying with your own currency? And PayPal has very bad exchange rates, so we want to think about that too not just the fee, which seems sometimes more obvious, the people you can lose a lot of money in the exchange rate itself, because they’re not offering very competitive exchange rates. R For a while, I managed. I was responsible for vendor management for about a year, and I went to a conference for vendor managers in all industries, not only the localization industry. I wanted to learn more about the challenges in this space. And it was the Gartner conference, and I talked to the analysts, I talked to the leader of the vendor management practice there. And I described what is a common situation in the translation and localization space. We deal with suppliers in sometimes over a hundred countries. We’re dealing with, I don’t know, 70-80 currencies at the same time, and volumes are relatively small and recurrent. So, you’re working on a large localization project that is going to last for six months; you’re doing it into 100-plus languages; you have, like, I don’t know, 600-700 people involved that need to be paid in this process. And the payments are in the hundreds of dollars, maybe low thousands of dollars. It’s not like Gartner and these analyst companies, they look at huge multinationals for signings and multi-million-dollar contracts. E Their eyes gloss over. R We should write a study about you because they don’t know any industry that has this characteristic. So, I like the fact that you’re looking at this, but I don’t want to hold us too much in suspense. Tell us. R What is the right way to do it? E I have just a follow-up point that quickly I talk to different people who are some of the options that I’m going to talk about and they all say like oh, that’s a really interesting profile. Exactly what you’re saying. And I think a lot of those bigger companies who could help our industry don’t even really know we exist, which we find in lots of different areas of our industry, right, when we talk to other industries. So, I wanted to tell you some of the alternative options include, the big one for me really is that I like to sell to everybody, and I think especially in the agency side it could be very, very helpful to cut costs and, like you said, to streamline the actual process of doing the payments. Like you’re saying, it’s almost this manual process that takes a long time. They’re going to have to streamline that and that is foreign exchange companies. So the other thing I want to talk about is transfer-wise, which I know a lot of people know about—ACH, which is automatic clearing house—and it’s also called EFT, which is electronic funds transfer payments. But the big thing, really, that I like to push is foreign exchange companies, and what I mean by that, I want to give you some actual examples of vendors, and there’s a lot of them, and I think people need to do their own due diligence. I actually have used a couple over the years, and I currently use Cambridge Global Payments. They’re kind of a mid-sized player in that space, and what I think is good about them is that they are open to being negotiated with. Where you can kind of, especially if you’re saying this much is going to go to your company; we have a million payments to pay, but they’re all small or whatever. Cambridge is a mid-level player in that, so they’re totally legit, but they’re also going to be more open to negotiating than perhaps Western Union Foreign Exchange Services, which is another one. M When you’re talking about being able to negotiate with them, you’re being able to negotiate the fee structure. M What their costs are. E Well, I think also though, there’s certain ceilings or levels at which you get discounts, but that I guess is considered a trade secret, because I’ve tried to beat that out of my different vendors before. I’m like, okay, if I batch these ones together and they won’t tell you but obviously, I think the more money you’re trading at once. But it might be, too, like, it might not just be an individual trade, it could be, you might be able to negotiate that, I would think. Like, okay, I’m going to do individual ones but in one day I’m going to pass $500,000 through or $10,000 through, or 25, or whatever it is or 500. So sometimes at my own business, because I’m relatively small, but I call myself freelance project manager, but many times I basically function as an agency, and sometimes I’ve been paying someone $300, $35, whatever, and sometimes I have paid someone $100,000, so. And I know bigger agencies obviously have more flex doing that. And, also, Renato you and I talked earlier about you don’t want to pay someone $35, well I do it with this, this method, and it’s fine. It doesn’t cost me anything on my end, no extra fees, and it’s not costing the translator to receive the money. So, in this case I actually do use people. Ok, I’m going to use so-and-so because she does a good job. I’m going to pay her a minimum fee of 25 whatevers, and it’s going to be totally doable. There’s not going to be a bunch of fees involved. So. M So these are the foreign exchange companies. You mentioned Cambridge Associates, is that the correct name? E Cambridge Global Payments, and it’s cambridgefx.com, the letters, like f x as the abbreviation foreign exchange. Then I have just a couple other examples, O and A I think does it too, oanda.com; Western Union’s Foreign Exchange Services, and there’s also American Express Foreign Exchange Payments, is what their division is called—American Express FX Payments. And there are many others, and I’m sure there are other legitimate ones, but people would have to do their due diligence to try to figure out where are these people within that sector. And make sure that, like Renato said, dealing with money and we’re dealing with international things, transfers, so we want to make sure they are a legitimate company. R Yeah, and of course you need to do, you need to look at specific markets, also. Because there are limitations as to how you do business, and this is something that you need to take into consideration when choosing your vendors. I know that you have limitations to send money to Russia, you have limitations to go to Iran, I’ve never tried, but I think it would be virtually impossible to send money to North Korea from anywhere. But, Eve, you’ve also looked at this. We’re talking a little bit from a US-centric perspective, but this is a problem that’s widespread. We have listeners in Europe, we have listeners in Asia. What have you seen going in the other direction? You being the receiving end, how are other companies in other continents and other countries handling the payment challenge? E My impression is for what you’re saying, I think that this solution is actually not US-centric. That’s what’s good about it. And I think that really not that many people in our industry are using it. And so, I think this solution of using these international foreign exchange companies gives you the option to, from the US, pay different vendors and vice versa from other markets paid the other direction. M Why would you want to use these services? E So, I do want to make a point that this is really kind of a business service. Like transfer-wise we talked about just really briefly, that’s more for like anybody. It could be individuals, small businesses, or whatever. But this is really for business service. So, you don’t have to be a large business, I’m my only employee, and also people use Cambridge who are much bigger than me. Who are in the millions of dollars, for example. But you have to be a business, and they do kind of an application process so you have to be accepted. So then once you’re approved, you can buy various currencies and have the money sent to various accounts worldwide. And like Renato said, I think this affects, there’s like specific rules about sending to Argentina or sending to Poland, and they all have to strictly adhere to those. But those are pretty much going to apply, I think, anywhere in international banking, but they will tell you that. But they can access a wide variety of markets. The other thing is about the fees is they really don’t have, like American Express Foreign Exchange does have fees that I have seen, so you’d have to try to negotiate those out. But, for example, Cambridge that I use, and I’m sure others, don’t really have fees into the price, they’re already built in. But, the exchange rate that you’re going to get from them is so much lower than dealing with PayPal or your own bank, that it’s not even, there really is no fee. There’s no fee that they’re quoting you. So you’re saving money right there in two ways. You’re avoiding the fee and you’re getting a good rate. Secondly, you will know right up front by using their online interface what you are going to pay upfront, what the vendor will receive. So, when you do a bank wire transfer, first of all, everyone’s getting gouged, right, with the wire fees. And secondly, you don’t know what the vendor is going to necessarily receive, especially in our industry because they’re pushing, agencies are usually pushing the risk onto the recipient. Right? Like we said. And so, they are going to say, “I’m going to pay in US dollars; they’re going to receive it in Euros; it’s not my problem what the person receives on that end, right”? But in this using a foreign exchange company, you can see right up front exactly what that person is going to receive, and I have never had anyone charged a fee on the receiving end when transferring money in this fashion. M So like, no hidden fees and the exchange rate is transparent? E And there are other companies. And like Renato said, it may be beneficial to you if you’re in Asia or if you’re in Europe to look at somebody specifically that meets your needs a little better. That’s focused on those markets. M Have you described that already? Because I confused the two, maybe, in my head. E Well, I think that gets into what my, so as you guys probably know, our different listeners today who are all over the world. In the US banking system that’s really only used by bigger companies usually to pay people directly. Like if I was a full- time employee, you know a standard employee, not a freelance company, they would normally at this day and age direct deposit money into my account from my pay. E And that’s, we’re talking about that. But in other countries it’s much, much more common. I know especially in the European countries, you can pay as an individual to someone, and there’s no fee to do that. You know like you would just say I’m going to pay my friend, transfer money over because I owe her 50 euros or whatever. And I think the Europeans think the Americans, which I agree with, the American banking system is way far behind on that. E Yeah, and I don’t know what the reason is. I’m not an expert in banking really, in the bigger banking picture. But I wonder too, because different times I’ve tried to set that up to pay people because I think that’s so great. In the US I’ll do the ACH; I’ll do the EFT; and then it’s very, very expensive to set up, and I’m thinking well, people don’t use it because you’re always trying to milk every dime you have out of it when it maybe would make the whole process more smooth and would save you money in the long run. But they want to charge everybody too much for what it is, is what I think. R Yeah. I’ll just give you a quick hint to answer a question because you have that doubt. It has historical reasons. The United States banking system is not really national. It’s not really totally consolidated, it’s driven by nine boards. R The Federal Reserve, and it was designed, originally, to keep banking at the state level and not at the national level to avoid the creation of huge conglomerates. R But that part of the law was eliminated, so you have situations like Wells Fargo and Citi Bank and Chase, and you have corruption and things going on. But the foundation is still based on state-level laws, and that’s why it’s not so easy as it is in Europe, where you have a central bank in each country that can take out the communication. R When I travel, I feel I’m paying with credit cards, in Europe, in South America, in Asia. I feel like I am the one coming from the third world country. M So, we’ve talked a lot about the mechanics of getting translators paid or getting paid if you’re a translator. Talk about the issue … you have to have money in order to work out those mechanics. So, if you are a SLV or an MLV, your cash flow is important. M I know you thought about that probably in your personal business. Have you done much research around that? Around payment terms, around how we negotiate those gaps that seem to be in existence in our industry? E And so, my take on it as someone who pays others is that … and I know that this doesn’t always work out in reality for other businesses, but I feel like I have a contract to pay that person. It doesn’t really matter and is not relevant to them when I get paid. I do keep that cash flow. Maybe if it was a million bucks, I’m not going to be able to do that. But then obviously I take steps to get deposits from the clients and things like that, right? I don’t know if agencies always realize how important that is … especially the freelance backbone of the industry, and like you said, that’s another example in our industry of pushing it onto the last guy who has less say in it. But I think too from the vendor perceptive that sometimes too, you do have to do that, that’s part of business; that’s part of our industry. And you have to make your own plans on your end if you agreed, okay, I’m going to take 45 days, I’m going to take 60 days, for some of those Europeans. Or 90 days. Then you have to deal with it on your end because you agreed to that contract. R I was following a discussion thread recently of a translator that was complaining that she wasn’t paid for a project that she did. She said in 15 years in the industry, this was the first time that I didn’t get paid. To be frank, this is a business that has very low levels of bad debt, and people not getting paid. You have your crooks, like you have everywhere, but it’s not the norm, it’s not so bad as in other industry. And there are some scams that are typical, and some people fall for that, but it’s not the norm. It’s very uncommon for you to hear of bad payers in this space. And there is even a list I think, on LinkedIn, and on Facebook, where translators can go and check, and even pros as some of that their Bluebook. E There’s several, yeah. Subscription-based ones … I think you’re right. I think too that people as the vendor, if you’re accepting … I always want to empower people because I think they feel like they’re pushed down in this industry and others, but you have the power to say no. If you don’t like those terms, then don’t take the job. But If you agree to it, you know when the money’s coming in and manage it on your own side too. M Yeah. It also reinforces the importance of contracts and paying attention to those things on contracts. When I started in the industry, the very first thing the owner of the company I was working for did with me related to contracts was the really two major things to look at it: terms and subcontracting clauses. M My knowledge, I think has progressed since then. But it was a great introduction. These are really the two essences of how we run positive businesses, and it’s great to hear from your guys’ experience that that’s less of an issue. R Yeah. Typical issues in the payment landscape is that you get payment terms that are extended. It used to be 30 days, it becomes 45 days, and then becomes 60 days, and when you least expect it’s 90 days. I think that in Japan the payment terms sometimes even reach six months. R It’s 180 days in some cases. But that’s not the norm. And what I hear; it’s actually a loyalty-building technique that several small LSP’s use is what you just described, Eve…is the pay early. R The sooner you pay your vendors, the more loyal they are. R They know that they can count on you, and if occasionally … I’ve been there, and I know that many of our listeners that are business owners have been there, you pay on time for three years, and then you have a bad month, and you need an extension, your vendors will be very happy to give you that extension. Because you’ve made them happy for so long. E I think that’s related to … this comes back to the idea of days starting out in this industry many years ago … over two decades, but I’m not that old. Was that I always considered it that you were selling as well to your vendors. Why do they want to work for you, in addition to selling to your customers, if you want good vendors, you’re going to sell it, and you’re going to follow through with what you’re selling to them. R I had a conversation recently, and I heard that in Scandinavia, where the supply of translators is low compared to the demand, it’s very hard to get translators to work for you. You really actively have to tell them why they should be working for you. Payment terms is a very good argument. E I’m glad to hear, like you said it’s just the supply and demand, but I think that’s the key thing that we’re saying. If you want to have good vendors, you’re in sales and you better follow through with what you’re selling to them that you’re going to offer it to them as a vendor. R Eve, we’ve talked about several aspects of this business. How would you summarize this conversation? Yeah, so what I want to say is that I think that there is a lot of different payment method opportunities out there. You really need to come up with a strategy, and to do that, you may end up using several of those that work with your strategy. Who are your vendors and your customers? What are their industry norms for payment? What currencies do they prefer? What countries are they located in? Which payment service providers offer services to make payment in those specific countries? What are the typical amounts of money involved in your transactions; many small amounts, or less frequent, larger sums? And which foreign currencies are you willing to pay in, or are your vendors willing to accept? The last thing would be is what we mentioned earlier—what payment terms do you honor? Upon receipt? 15 days, 30 days, 45, 90 days, or other? The answers to all of those questions will help you come up with a strategy for what payment methods that you use.